Tempest rising is the first mermaid book I've read and despite having reservations about the genre I really enjoyed it. I actually quite liked Tempest as a character. I enjoyed seeing how she was torn between what she wanted and what she was "born" to do and how the author got that internal struggle across. I loved the realtionship she had with her family and in particular her brothers and seeing how that relationship influences how she made her decisions. 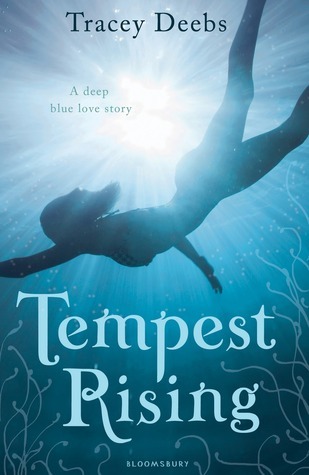 The boys in this book are just a little bit too gorgeous I have no idea how Tempest was meant to decide between any of them if I'm honest. I liked that it was a paranormal romance but with a different twist. You get to a point where you start to feel like you are reading the same book over and over again sometimes and this one was uniquely different for me. I would have liked the start to be a bit more pacey as I found I got a bit bored to start with. The ending is a bit of a cliffhanger and it was very frustrating - I need more as the openedness is a bit of a killer and has left me gagging for the next bit. This is a book that's been popping up on quite a few blogs - I think I do want to read this one for myself. I started this one, but I don't think I was in a 'mermaid' frame of mind and I couldn't get past the sort of slow beginning. I'm glad you mostly liked it though, that's promising for when I do eventually return to it!